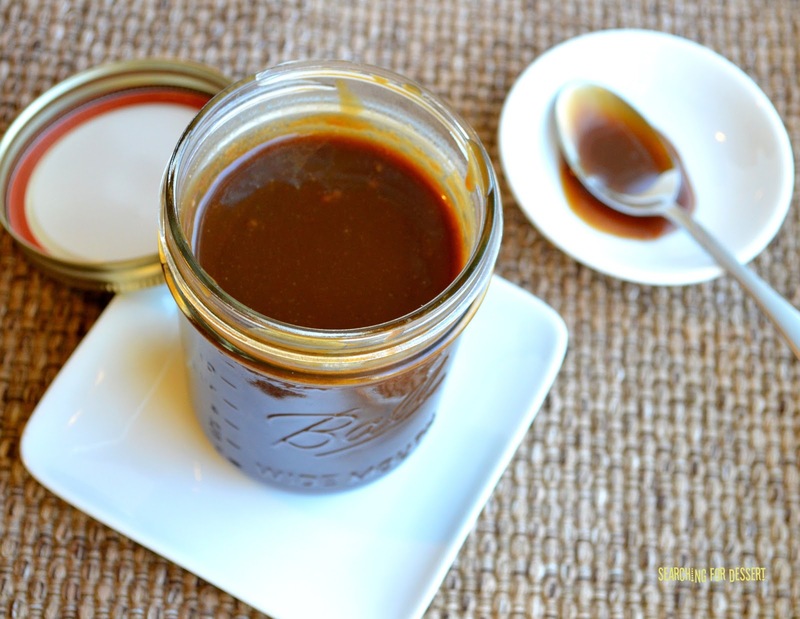 Caramel sauce is one of my favorite toppings. It's such a versitile ingredients because it has so many great applications. Cupcakes, cakes, brownies, ice cream, pastries, anything sweet really. 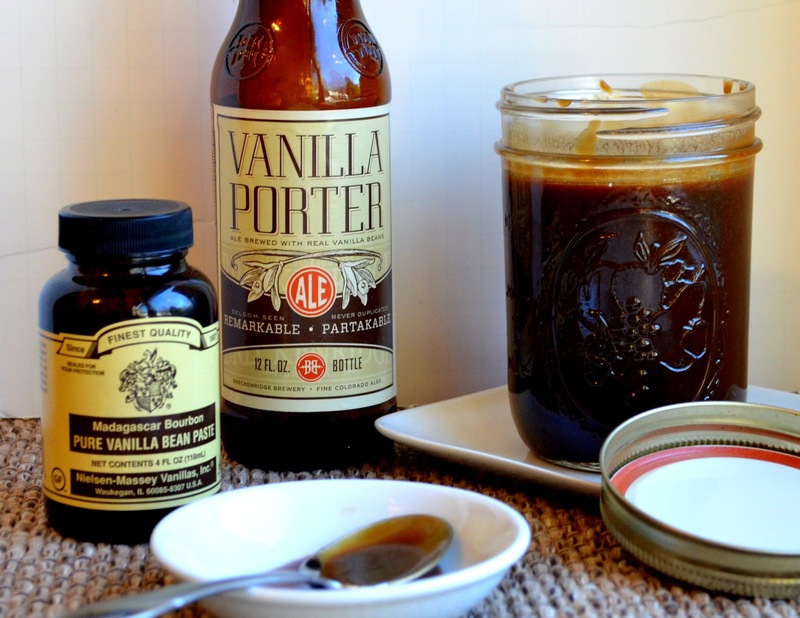 This particular sauce is made with a vanilla bean porter which adds a nice rich flavor to the caramel. Any porter or stout could be used but I thought the vanilla bean would be really nice for what I was looking for. When I served this then I drizzled it over vanilla bean ice cream and whipped cream and it was delicious. I ate the same dessert for the next two days. I also made cupcakes with it which you will see the recipe for soon :). This recipe does use a candy thermometer to make it but don't be alarmed by that, it takes a little time and patience but is completely worth the effort involved. See the tiny vanilla beans? So flavorful! A few years ago I wanted nothing to do with beer at all and only liked the cocktail style drinks but after I had my son for some reason I started to like the flavors of different beers, and surprisingly darker beers are my favorite. I started to realize that some beers have very complex flavors when the person consuming them pays attention to what they are drinking. I really enjoy baking and cooking with different beers now because it adds a nice variety of flavor to whatever I'm making. In this caramel sauce the actual alcohol content is cooked out so that is not a concern, and if anyone tries it then the first thing they will say, won't be "is there beer in this?". It will probably be "yum!". The flavor isn't overwhelming it simply has a nice a caramelized vanilla flavor that complements so many different dishes. You could also try a mocha stout, coffee stout, or chocolate stout (or porter for any of those) in this caramel it would work beautifully and add a nice flavor. 1. Over medium-high heat, simmer the porter for about 10 minutes, stir occasionally. 2. Stir in the butter and brown sugar. Cook, without stirring, until the mixture reaches 234-235F on a candy thermometer, about 12 minutes. 3. Remove the mixture from heat and slowly stir in the whipping cream, vanilla paste, and salt. 4. 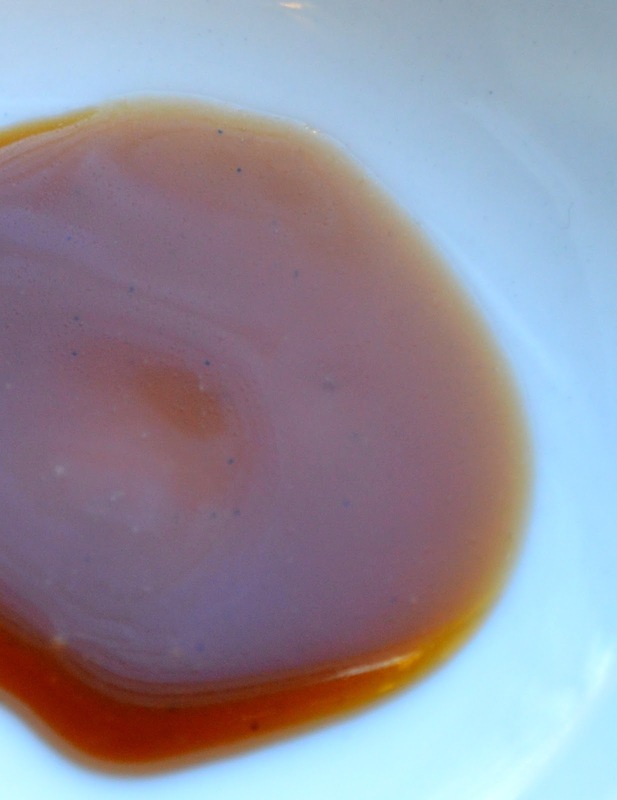 Put the pan back on the stove over medium heat and stir constantly until the caramel sauce is thickened slightly and has a creamy appearance. 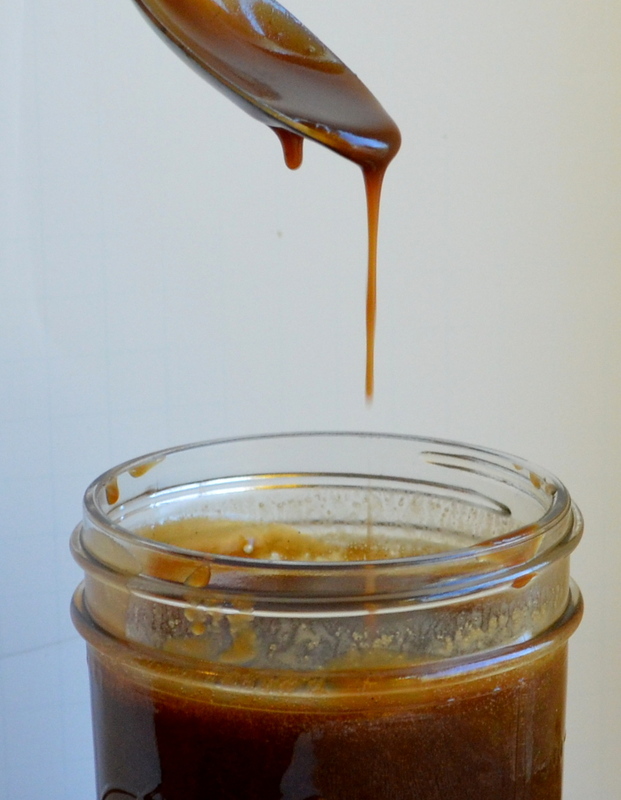 Pour into a glass jar or storage container and cool at least two hour at room temperature. 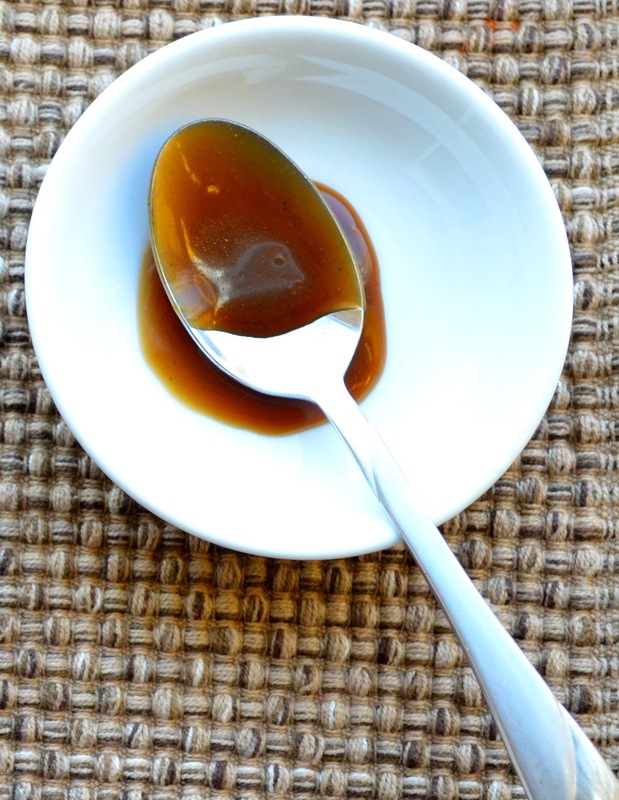 Store the caramel sauce in the refrigerator (it will not thicken so much in the refrigerator that it cannot be drizzled with a spoon). Stir before using. This looks yummy! Tahnks for sharing with us over at Real Housemoms for Fabulous Fridays!